Launched in June 30, 2015, by Apple Company, Apple Music is just one years old, but grows considerably fast. In June 2016, Apple Music subscriber's number has approximated to half of Spotify subscriber’s, exceeded 15 million. 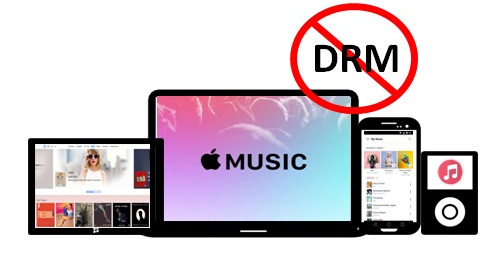 Same with Spotify, songs of Apple Music are added DRM (Digital Rights Management), so that users can't enjoy Apple Music songs freely, which brings users with much inconvenience. Here this article will teach you how to get DRM-free version of Apple Music. Any song from the Apple Music has DRM (digital rights management). And Apple Music sets price $9.99 for individual plan and $14.99 for family plan, of up to 6 people to enjoy services. When users first subscribe Apple Music, it offers a free three-month trial. In addition, what worth mentioning is Apple student plan: Apple is offering students whose schools in the U.S., U.K., Australia, Denmark, Germany, Ireland, and New Zealand can be authenticated by third-party service Unidays a $4.99/month discounted membership option. 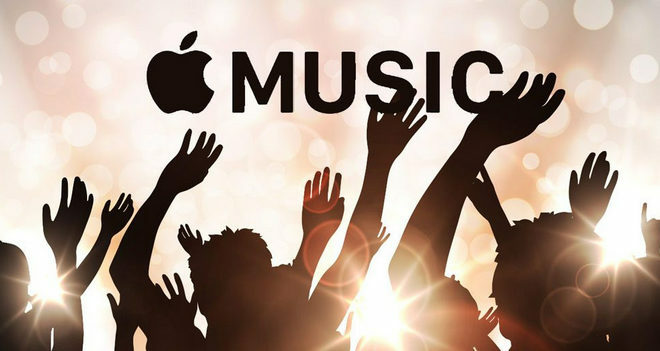 In November 2015, Apple launched the Android version of Apple Music, which removes the limit that it can’t be use in Android devices, but there are still many other limits to prevent users from streaming Apple Music songs freely. After the free trial periods end, users of Apple Music must decide whether to start paying for it. Then, what will happen if users decide not to subscribe after the three month trial? Any streaming music you've added to your library from the Apple Music catalog will no longer be playable, and Apple Music will provide you with only thirty days to reinstate your membership if you want to restore these tracks. Over the period, there is no way to get them back even subscribing. And the other services of Apple Music are also not available. In addition, even during subscription, there are many limits to restrict users. On the choice of playing devices, Apple Music is available on Android and Apple devices, such as iPhone, iPad, Apple TV and so on, but if you want to play Apple Music songs on MP3 player, or burn to a CD, that is not impossible for DRM. Is there any way to get DRM-free versions of Apple Music songs, so that you can enjoy them after unsubscription? 2. How to Get Apple Music Free forever? 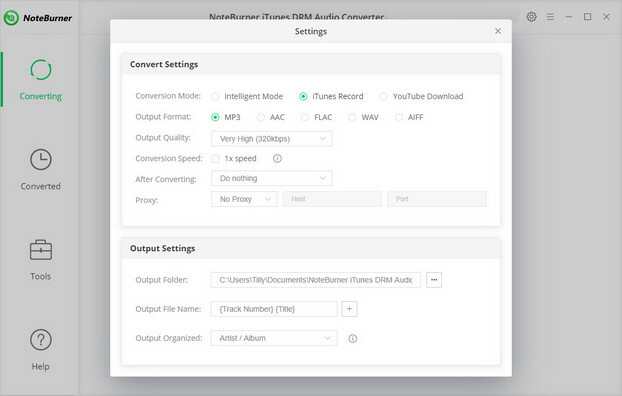 To get Apple Music free forever, you can seek help from NoteBurner Apple Music Converter ( For Windows | For Mac), it is a quite professional DRM audio converter, which can convert Apple Music files and M4P music to MP3, WAV, and M4A format, and the output audio is the same as the original audio files, lossless quality is kept. In this way, you will get the DRM-free version of Apple Music songs. 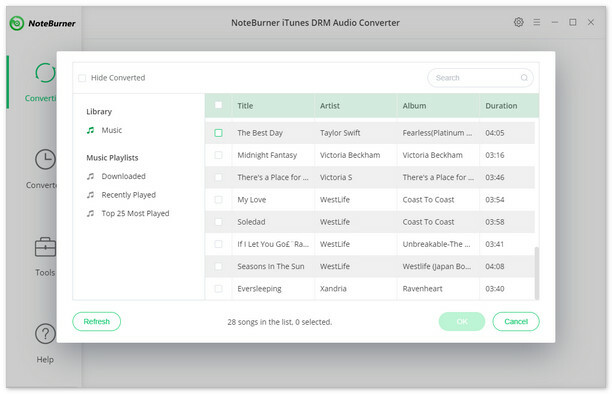 The following part is a detailed tutorial which will tell you how to remove DRM from Apple Music and get the DRM-free version of them, please download NoteBurner Apple Music Converter, the best Apple Music DRM Removal first before getting started. After the successful adding, the next one is choosing the output format according to your need. Clicking the button "setting", in the pop-up window, you can choose output path, output format, and even the conversion speed. WAV, AAC, MP3 and FLAC is available to choose. After completing the above steps, the final one is clicking the button "Convert". Just a few second, it will succeed. Now you can get DRM-free version of Apple Music songs and enjoy those songs on MP3 player, car player or burn them to a CD and so on.